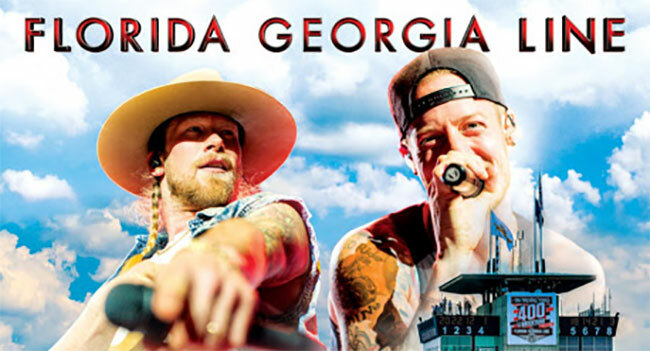 The threat of severe weather has forced the cancellation of Florida Georgia Line’s inaugural FGL Fest today (Sat, Sept 8th) at Indianapolis Motor Speedway. The event was to kick off around 3 pm ET performances by Cole Swindell, Nelly, Raelynn, and others before a headlining set by the FGL. Fans can obtain refunds at the point of purchase as it does not appear the event will be rescheduled. FGL Fest was announced earlier this summer and was to coincide with Sunday’s Big Machine 400 at the Brickyard race. No word on the fate of that race as of press time as remnants of a tropical storm unleash potentially heavy rain and flooding throughout the area.